Today a new business launched in Toronto with the focus of funding, developing and adopting technology to help improve the property and real estate market. Alate Partners launched its property technology or proptech business with $40 million in seed financing, in partnership with Canadian real estate company Dream Unlimited and venture firm Relay Ventures. “Amid the backdrop of an exponentially growing real estate market and technologies that will drive efficiencies in this sector, Alate will build an ecosystem that brings together leading proptech innovators with influential real estate owners, operators and managers,” the press release stated. 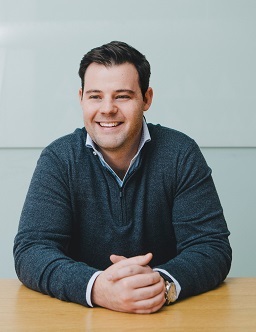 Alate is looking to invest and buy proptech that is going to change, augment and disrupt the entire real estate industry, Jake Cassaday, associate partner at Relay and board member of Alate told ITBusiness.ca. Proptech is essentially anything that includes technology made for the building, buying, managing and operations of properties. Anything from real estate transactions to organizing labour on a construction site and managing the internal operations of a rental building. With its launch announcement, Alate also announced initial investments in two startups; Toronto-based Lane, which has created an operating system for buildings that runs through its app received seed investment from Alate, and ParkWhiz, which is a smart parking solution that allows parking lot operators to connect with drivers for finding, booking and paying for parking spaces, it received more than $20 million dollars is a series D funding round. At this point in its launch Alate is focused on finding and investing in already existing proptech startups and ideas, said Cassaday but as it grows, has plans to develop its own ideas when there are gaps in the market that could gain from lower costs, increased efficiency and unique experiences. 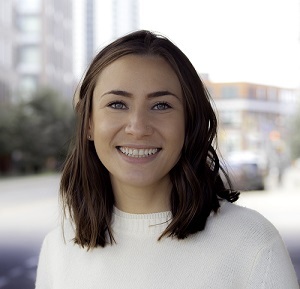 Courtney Cooper, director of corporate development for Alate, told ITBusiness.ca that the company will work closely with real estate company Dream to help validate the technology solutions they invest in and develop. So far Dream has already started using Lane’s operational app in its head office. Relay “recognize[d] the tremendous potential for those technologies designed specifically for the real estate market,” said John Albright co-founder and managing partner at Relay Ventures, “this is an industry vertical that is primed for significant global growth. “By partnering with Dream, and other real estate partners, we are bringing together our extensive knowledge and expertise in the technology sector…with a global scope of expertise that includes residential and commercial property development and management,” Albright stated in the release.